NEW ORLEANS -- As the head of product for Facebook Messenger, Stan Chudnovsky is responsible for one of the most popular consumer products in the world. 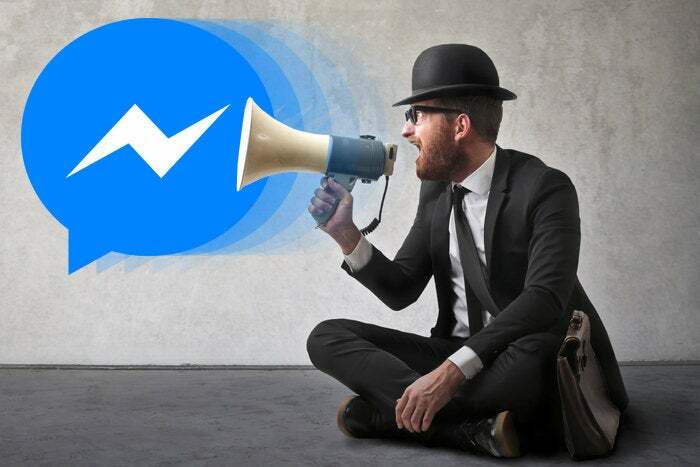 And yet, despite Messenger’s 1.2 billion monthly active users, he’s convinced that the app can continue its growth and add more functions if users and business embrace the app as a channel for business-to-consumer communications. More than 60 million businesses have a presence on Facebook and at least 20 million are active on Messenger today, but Facebook continues to develop APIs, bots and other means to expedite connections between people and business, Chudnovsky said this week at the Collision conference. “We need to make it obvious that you can make a connection between people and businesses,” he said. Asia is already accustomed and comfortable with using messaging apps to make large purchases and transact directly with businesses and other organizations, but much of the western world is behind on that front or remains unconvinced of the need to bring those conversations to apps that they predominantly use to communicate on a personal level with friends, family and colleagues. Changing the mindset of a western audience won’t come easily, but Facebook believes it has the main ingredients in place to execute on its strategy and that more users will grow to appreciate opportunities and efficiencies that messaging apps can provide outside of traditional people-to-people communications. When Facebook introduced an API for developers to build purpose-driven bots in Messenger last year it gained tremendous hype. That led to almost immediate and sustained criticism about the capability and viability of bots overall, but Facebook now is trying to reframe how bots are perceived by the public and somewhat downplay their utility. Bots were never the end goal for Facebook, but rather a means to an end, according to Chudnovsky. “The plan was always to connect people and businesses, and in many cases there is no bot needed.” The user who bought solar panels on Messenger in Asia never engaged with a bot, for example, he said. Businesses can build bots to increase efficiency, particularly on simple questions such as hours of operation. M, which Chudnovsky describes as a human-powered artificial intelligence assistant, is also a bot-like interface that Facebook has been developing and piloting with a smaller user group for almost two years. Last month Facebook announced that M is becoming a platform in its own right and select developers are starting to build upon that framework. “The plan with M was that we can’t yet do everything perfectly for everybody so we’re going to do everything for a small group of people,” Chudnovsky said. When M is enabled for all Messenger users it could eventually replace the more rudimentary or underperforming bots, he added. M is purely text-based, which makes it stand out and seem less advanced than personal assistants from Amazon, Apple, Google and others that operate via voice. Chudnovsky described a three-step funnel to explain why Facebook hasn’t jumped on the voice-controlled bandwagon of late. Voice introduces complexities and uncertainties that will undoubtedly lead to lower quality outcomes, he said. Focusing on text recognition and delivering suggestions based on specific requests also gives M the ability to not react when it doesn’t understand the user’s request. Finally, when Chudnovsky was asked if Messenger will eventually incorporate voice control into the M assistant, he confirmed that to be the case without providing any further detail. “Voice eventually,” he said.